Any responsible pet owner will know that their pet can experience as wide a range of emotions as humans. Love, joy, stress and depression are all mental states that can be found in cats, dogs, horses and even fish and mice. Unfortunately, this is still met with skepticism by some in the veterinary world and trying to find treatment for an animal suffering from depression or other mental health problems can be difficult. However, the same alternative treatments that work with humans can have highly beneficial effects with animals. The first problem is to identify what exactly is the cause of your pet’s depression or anxiety. This might be such things as changes in habitat or diet. If you have recently moved home then all the sights, scents and sounds have changed for the animal which can be very distressing. Your pet doesn’t understand the concept of ‘moving’ so the dog or cat just thinks that the home it had built with all its unique smells has been destroyed and the animal has to start all over again. It is less akin to our concept of moving home and more like if our house was destroyed in a fire or if it were burgled. The fabric of the home is gone. Obviously this can lead to major anxiety problems for the animal as it has to rebuild its life, just as it would for us. This is also true for shelter animals. Though they have a new and loving home, it may take them time to adapt and they will be very anxious during this period. Other issues that may upset your pet are the loss of a loved one, either through death, or just because that person has left the home (a divorced spouse or a child gone to college). Even if a person has only temporarily left, such as a serviceman on duty, this may be enough to upset an animal. Likewise, if the animal had a companion, another dog or a cat, and that animal has died then the grief associated with such loss is as real for a pet as it is for their owner. Even small things such as changes in diet can cause depression and anxiety. Nutrition is important for health, both physical and mental, in all animals and if you decide to change the animal’s food to something it either doesn’t like or something which might not satisfy its nutritional needs, this can lead to mental health problems. The veterinarian community can sometimes be dismissive of mental health issues in animals. In addition, their treatment for such problems is likely the same as doctors prescribe for humans: drugs. Pet owners can obviously be concerned about giving their animal a dose of Prozac every morning. The side-effects can be severe and it does nothing to correct the underlying causes of the animal’s mood. It is better to try and identify these causes so you can help you pet become happy once more. Working with an animal communicator or animal therapist should be the first step in determining your pet’s problems. These professionals are behavioral specialists who can understand the behavior and state of the animal and what the underlying causes are. 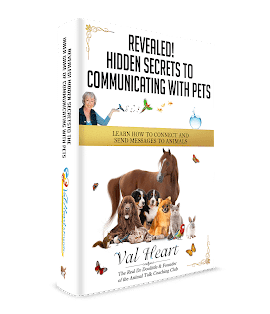 Animal communicators can assess and analyze the pet and provide you with insight into their behavior and mind that you would have never had before, giving you advice on diet, habitat and emotions straight from the horses (or dogs or cats) mouth. Dietary changes or nutritional supplements can have an immediate effect on animals, so something as easy as changing back to a previous food that the animal liked, or changed to a diet that includes vitamins, minerals or nutrients that the animal might be lacking. There are other things you can do to help your pet living a happy and fulfilling life. Just as you would never think of leaving your child at home or boarding somewhere when you went away on vacation, you should consider including your pet in any trips or holidays your family take. They consider themselves part of the family, especially dogs, so can be as upset as a human to be left behind. When you are making vacation plans consider what type of holiday you could take that could include a pet. For dogs, a retreat to a cabin in the woods can be like a five-star hotel. Space to run around, animals to chase and scents to follow. Just as a holiday can perk humans up, so to can a holiday help lighten an animal’s mood. Many hotels also are happy to accept pets and it is even possible to take cats and dogs on a cruise with you, treating them to luxury and fun. If you do take your pet away with you, make sure the animal has proper ID, a health certificate to show it has all its vaccinations and never leave you pet alone in a strange place as this can exacerbate the anxiety and depression that you may be there to resolve. If you remember that animals have emotions then you can help you pet to avoid any of these mental health issues and lead a happy and healthy life. Treat your pet as you would a child, with proper nutrition, living conditions and plenty of play and bonding time and you will find that your pet can live happily in its family home. Article courtesy of Melissa Hathaway. This one is really amazing, i have never thought about our pets depression and anxiety. I love pets very much as they keep us busy in their life activities and keeps us away from depression like problems. Really thankful for you nice post over this topic, got to know something really interesting.